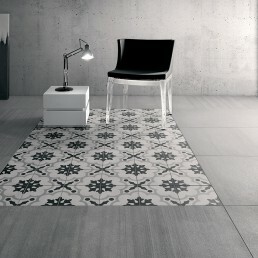 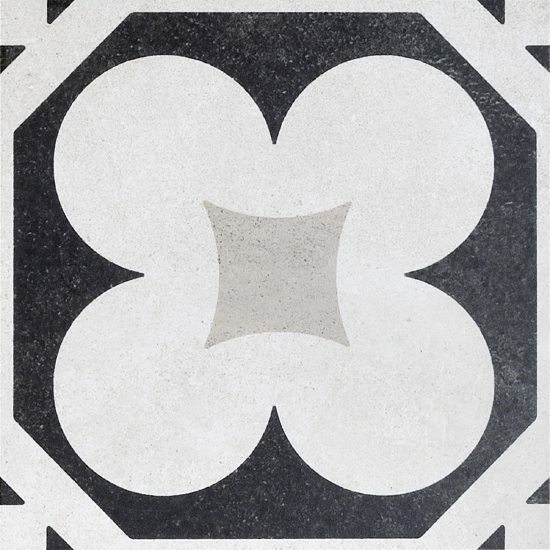 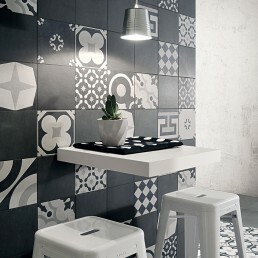 Decorative black and white tiles designed by Silvia Stanzani. 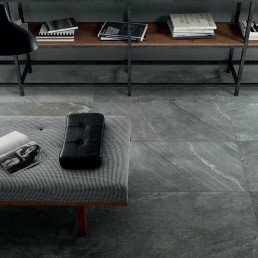 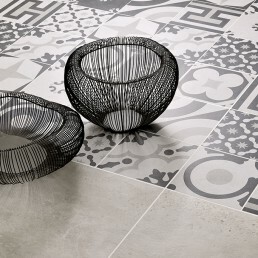 Brought to life as 20×20 porcelain stoneware suitable to floors or walls, in line with the very latest trends in the world of fashion and Interior Design. 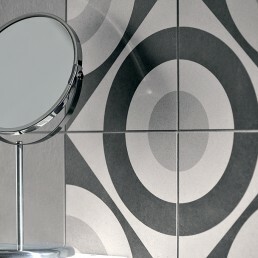 This classy 70’s monochrome inspired retro pattern piece almost has influences of the late great iconic Audrey Hepburn. 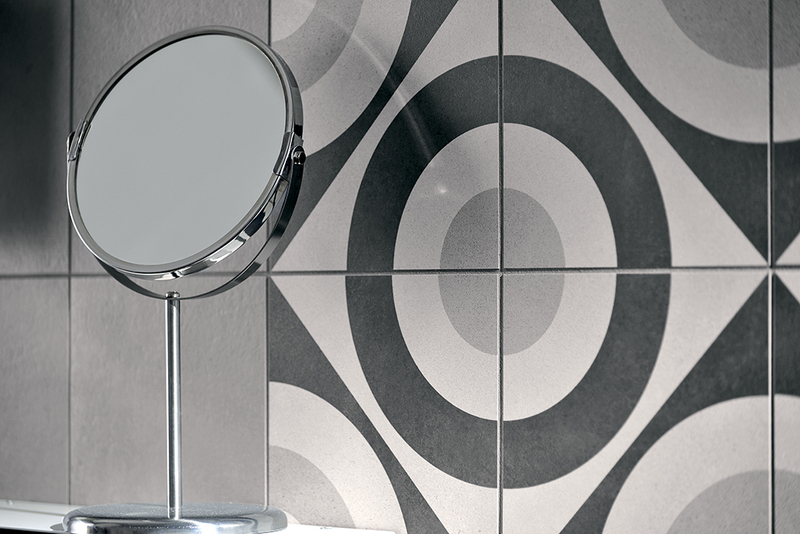 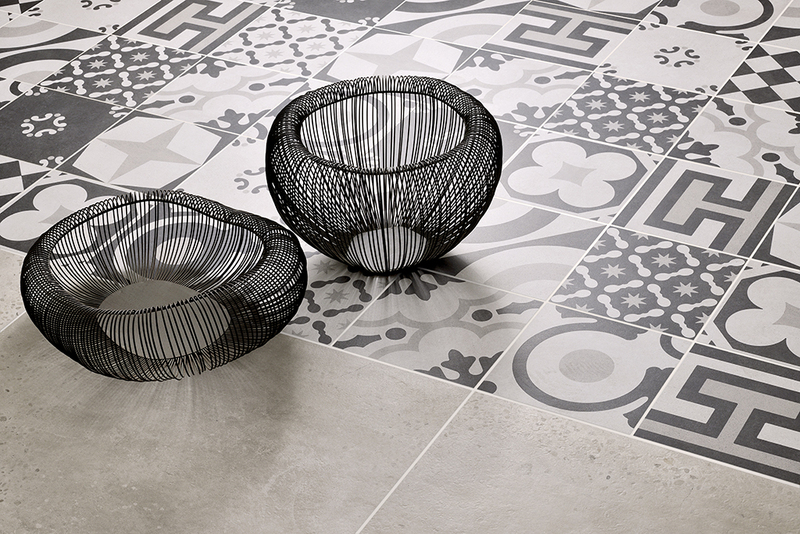 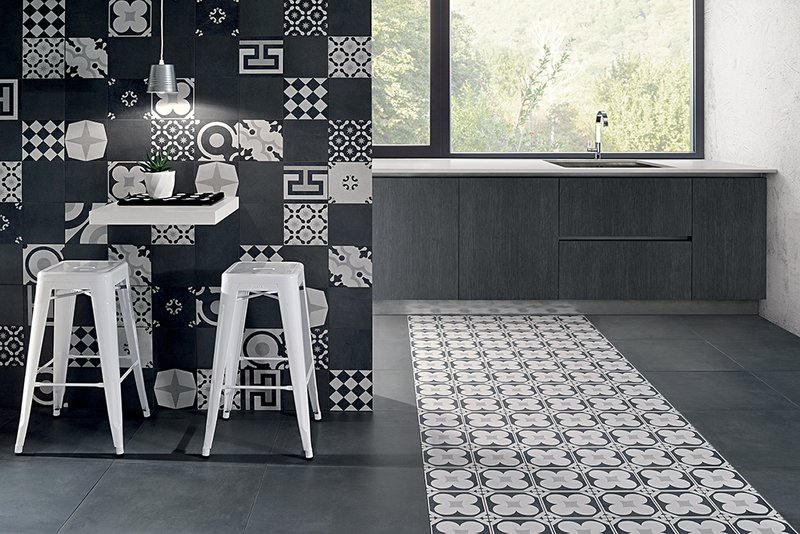 The Cementine Black and White Series is a porcelain that provides the charm and elegance of a vintage effect. 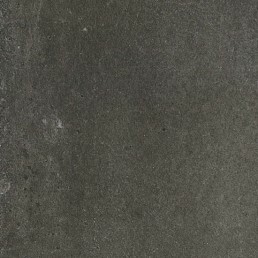 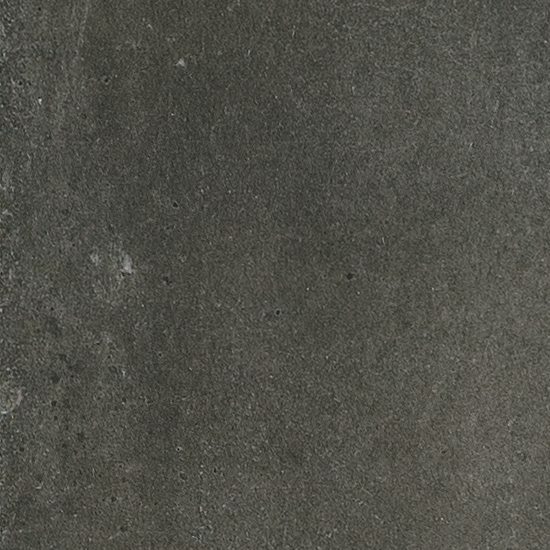 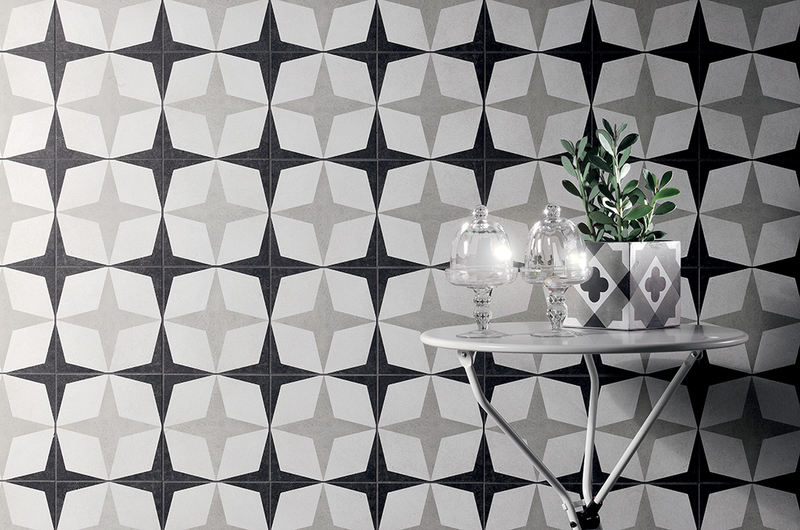 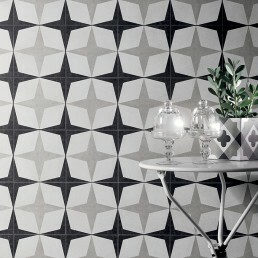 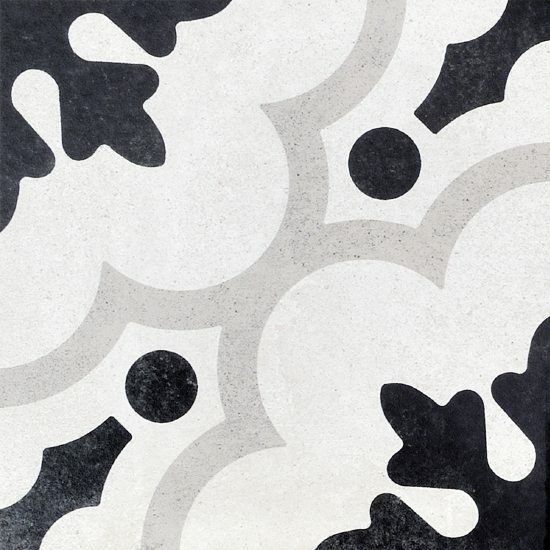 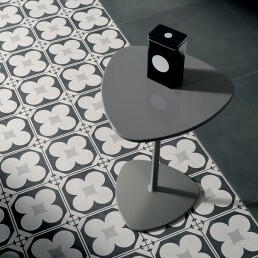 Cementine black and white tile is porcelain and provides the charm and elegance of a vintage era. 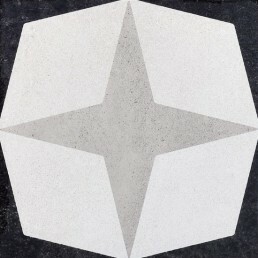 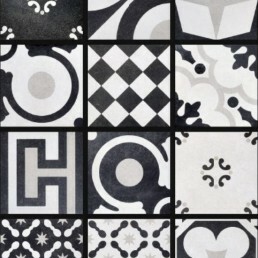 This pattern piece is available in five, unique black and white tile designs that allow for great variety in how they can be used. 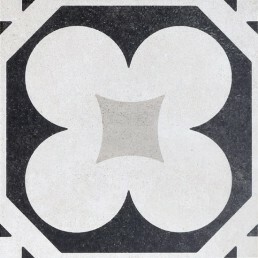 Whether using them as individual accents, creating a group of one design, or mixing multiple designs together, they can be used to create a unique layout. 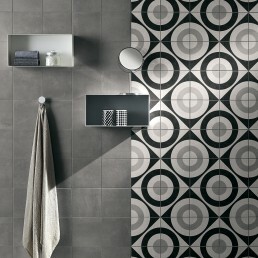 With this black and white monochrome porcelain tile, There is no wrong or right way of placing the tiles. 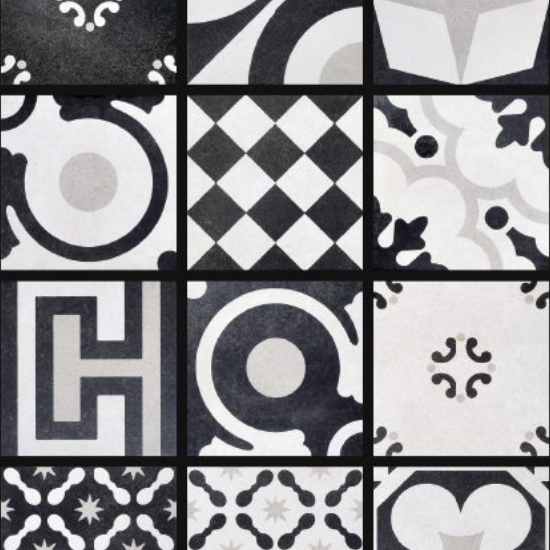 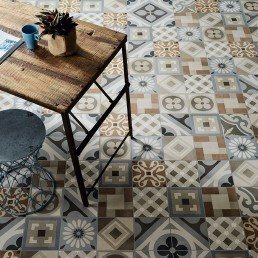 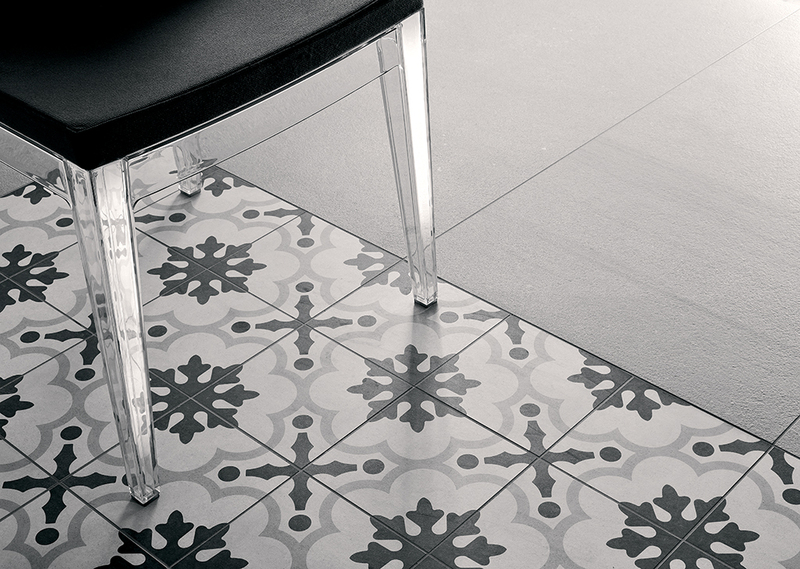 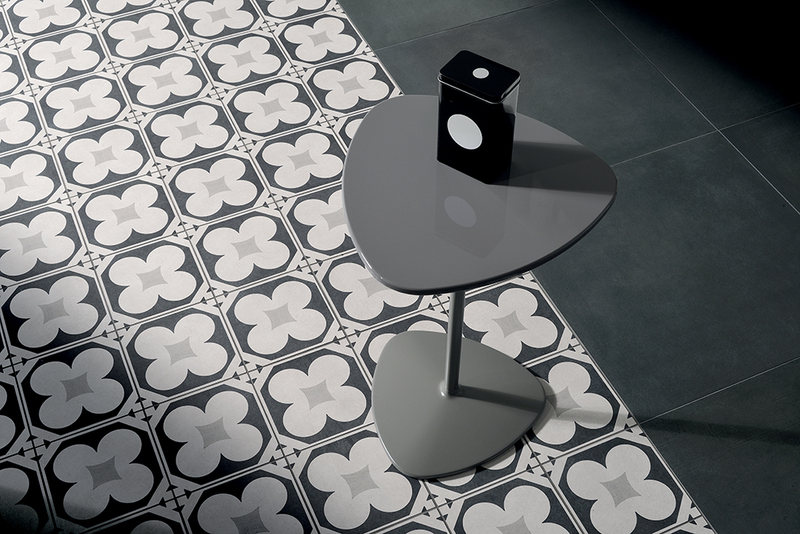 The Beauty of these black and white tiles have a patchwork style, that makes every arrangement or design work visually. 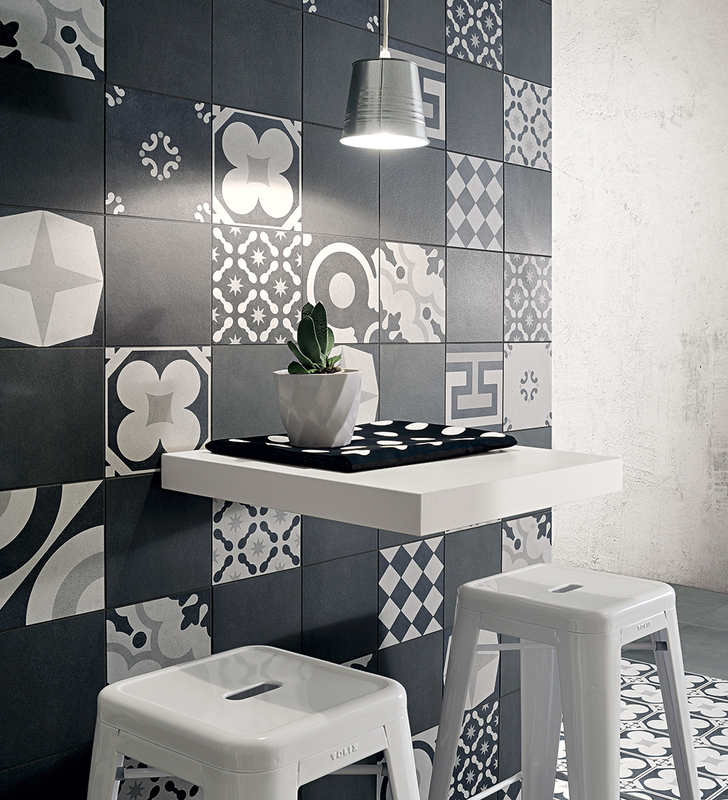 Although cementine black and white tiles have elements of distinction, it ranks high in versatility. 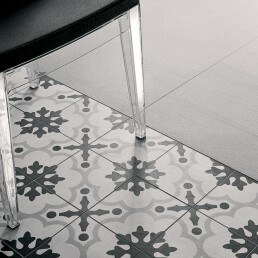 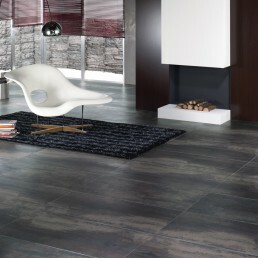 With this piece been porcelain it is durable, Maintaining a tile with such properties can be accomplished at ease. 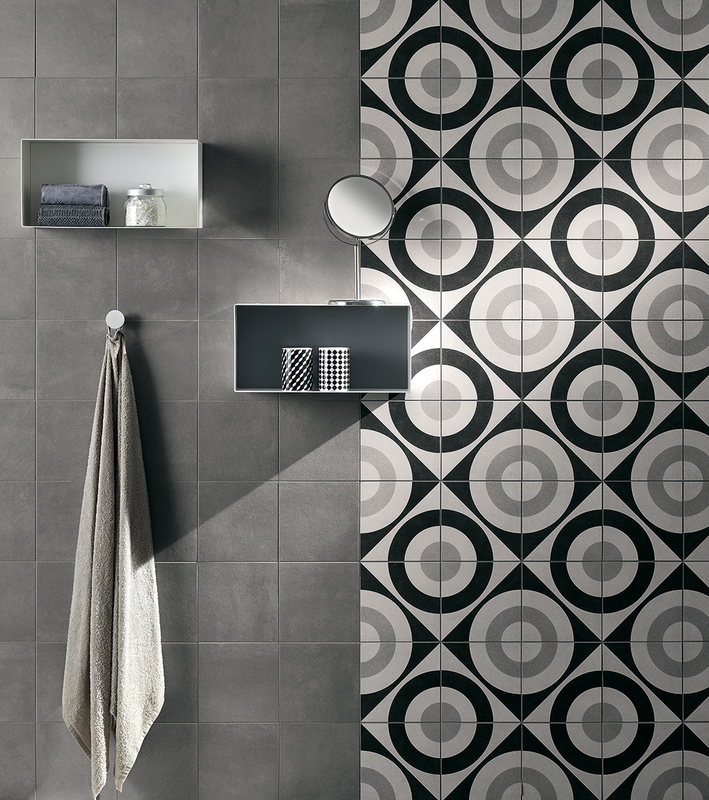 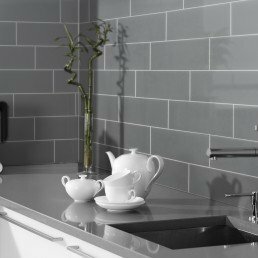 Whether your aim is to create intensity or a feature piece, This black and white tiles hues can be altered by the use of Grouts. 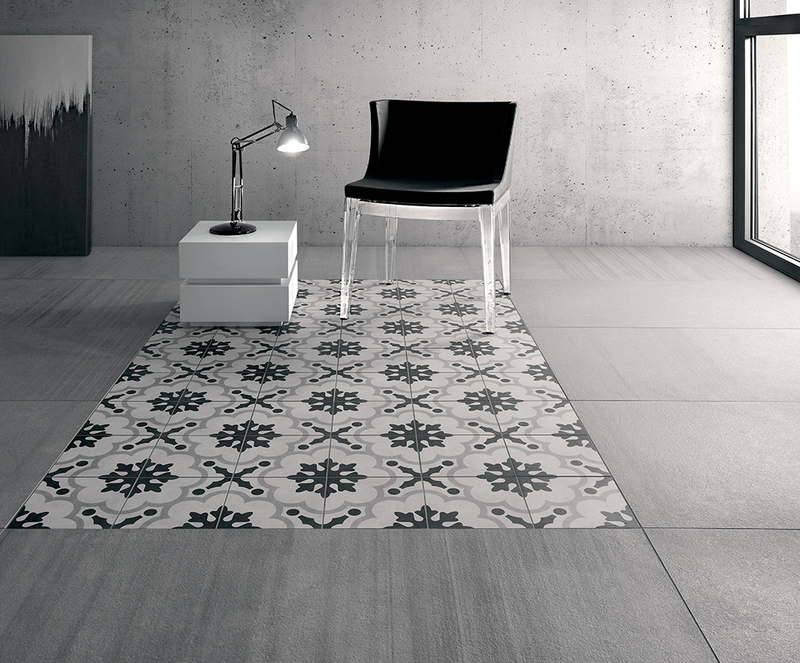 When blending the various designs together, shade, texture and calibration differences should be expected.